"It may prove to be the most significant recording of the show since the original Broadway cast." "Four Stars ... both the choral singing and the orchestral playing are immaculate ... hugely enjoyable ..."
"... San Francisco Symphony gives this magnificent musical the full symphonic heft it deserves ... sound and balance are superb; the album sounds much more like a well-engineered studio product than the live concert recording it is." "... Tilson Thomas has made all of the right decisions ... recorded live before a very quiet audience (there are a few moments of gentle laughter here and there), the sonics capture both singers and players up close, but never harshly. If you want West Side Story complete, then this is the set to own." 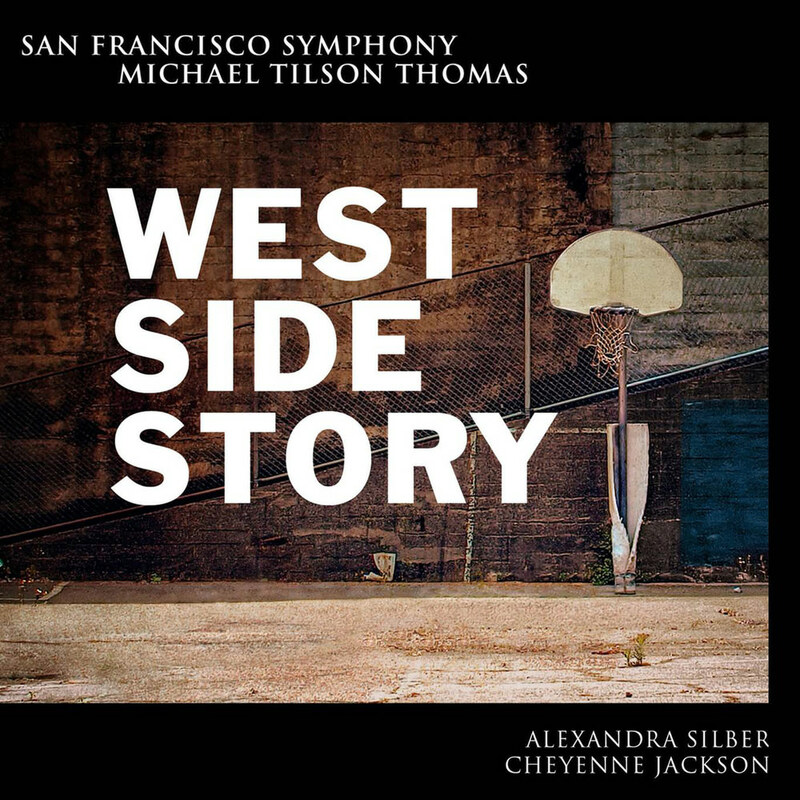 Michael Tilson Thomas and the Grammy-winning San Francisco Symphony present this historic live recording of the first-ever concert performances of Leonard Bernstein’s complete score for the beloved musical West Side Story. The SFS became the first orchestra to receive permission from all four West Side Story rights-holders to perform and record the musical score in its entirety in a concert setting. These performances were recorded live in 96 kHz / 24-bit PCM in late June and early July 2013, starring Broadway actors Alexandra Silber as Maria and Cheyenne Jackson as Tony, alongside members of the San Francisco Symphony Chorus. "This is a new and rare opportunity to hear Bernstein’s complete score sung by a sensational young cast and a knock-your-socks-off orchestra. The San Francisco Symphony totally understands and feels this music. We show the Broadway roots of the piece and how its universal qualities translate into the way we think about it today." Photos: Ricardo Hernandez (cover), Stefan Cohen (cast and production).